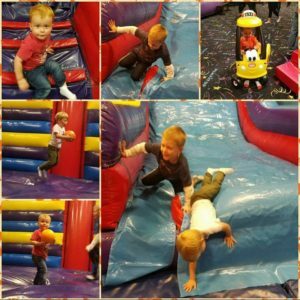 Come join us at Pump It Up for a night of bouncing, jumping and climbing! This will be a private event for families with children on the autism spectrum. The Autism Society would like to thank our partner Pump It Up for helping us create a spectacular venue for our community. Our group meets the first Monday of the month during an Open Bounce time where the entire facility is set aside for our families! Please visit www.pumpitupparty.com to learn more about this great party zone! You DO NOT have to be a current member of the Autism Society of Nebraska. You DO NOT even have to have a formal autism diagnosis. If you feel you might be part of our community, we would love to have you join us!